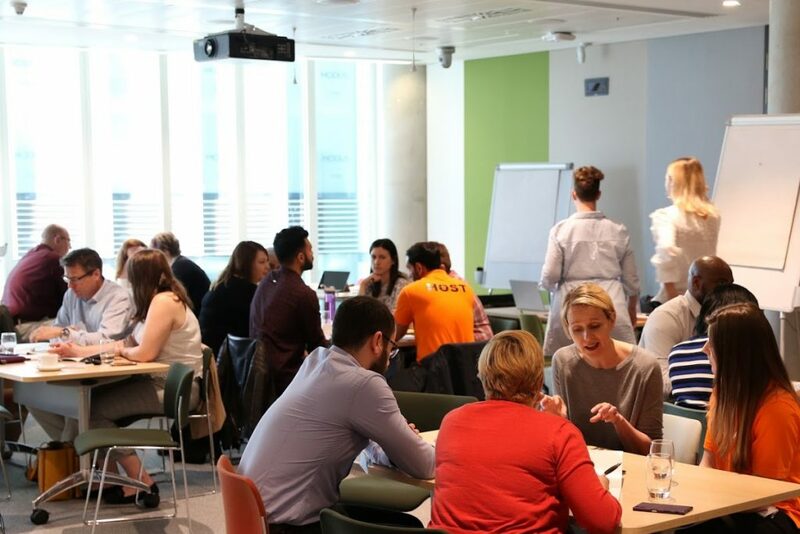 Thanks to Microsoft UK, and supported by Five on a Bike, Green Banana Marketing, and NFP Synergy; on Friday 4th May, several UK charities committed to attend the UK’s first Project Management Day of Service (PMDoS®). 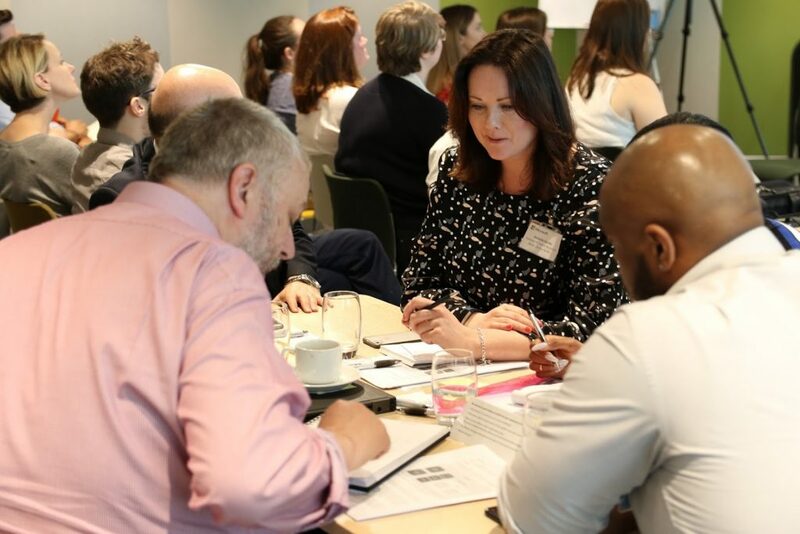 The day saw project management professionals donate their time to help plan, strategise, resolve, and define opportunities for non-profit organisations that often don’t have time, money, or expertise enough to invest in valuable project management principles. PMDoS® started in 2014 in the Washington, DC area by a group of 40 project managers interested in civic engagement while furthering their beloved profession. Driven by an all-volunteer PMO, the first event brought together 300 volunteers to provide pro bono project management services to 100 local non-profits—a resounding success for PM4Change echoed across the DC area, within the project management community, and was even picked up by the White House blog. PM4Change told us that many non-profits simply don’t understand the value that project management can have in helping them further their missions, or they have a hard time justifying the cost of having project managers expertly plan and manage their projects to ensure effective execution. Upon hearing the success of PMDoS® in the United States, the team at Wellingtone thought we would bring this event to our shores and help make project management an industry that gives back to those less fortunate. On ‘Star Wars’ day we invited fellow project management professionals to Feel the Force doing good and share their expertise. And they donated their time without hesitation. The day started with an introduction from our Wellingtone MD, Vince Hines covering the basics of project management to bring for all the charities in attendance. You can view his presentation HERE. Vince was followed by Emily Large, from the Microsoft Charities Team. Emily provided an overview of the Microsoft Tech4Change initiative and how charitable organisations can gain access to technology and software. You can see Emily’s presentation HERE. The day was broken up with two seminars: One from Green Banana Marketing; a specialist marketing company specialising in the charity sector. Giles Robertson (Director at Green Banana) acknowledged all the heroes in the room (with thanks to Cadburys Heroes!) and gave an overview of some of the things that charities can do better to gain more traction and engagement through marketing activities. 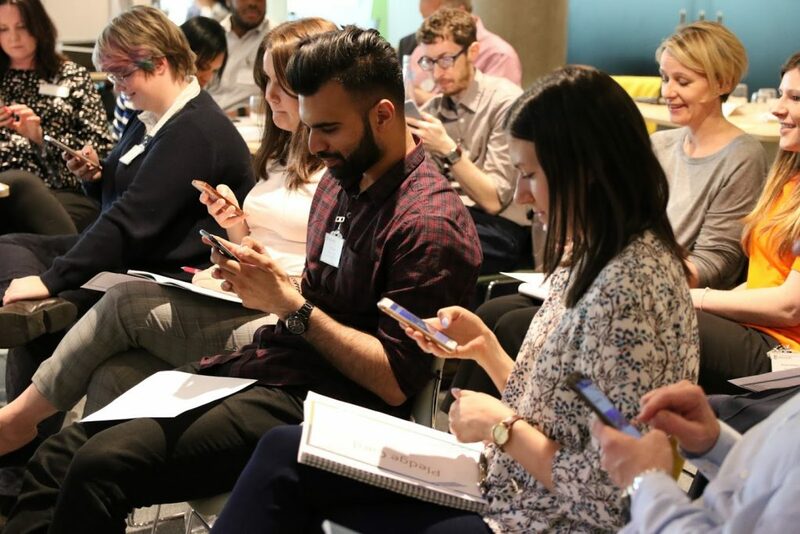 The second seminar was delivered by York Woodford-Smith from Five on a Bike, who provided insight into how charities can make the most from social media groups and even posted a Facebook live video on the day. You can see that HERE (be sure to share!). At the end of the day Tim Harrison gave a view of the charity sector thanks to the research that NFP Synergy carry out including trends and challenges affecting the sector right now. You can see Tim’s presentation HERE. Over the next few weeks, we will be following up with our charities to see how they have utilised the advice and knowledge from the day, so keep your eyes out for news and information, and please do note an interest in getting involved in the next UK PMDoS®.